Picking a couple of free weights can be difficult: The amount to shell out? What type of construction? 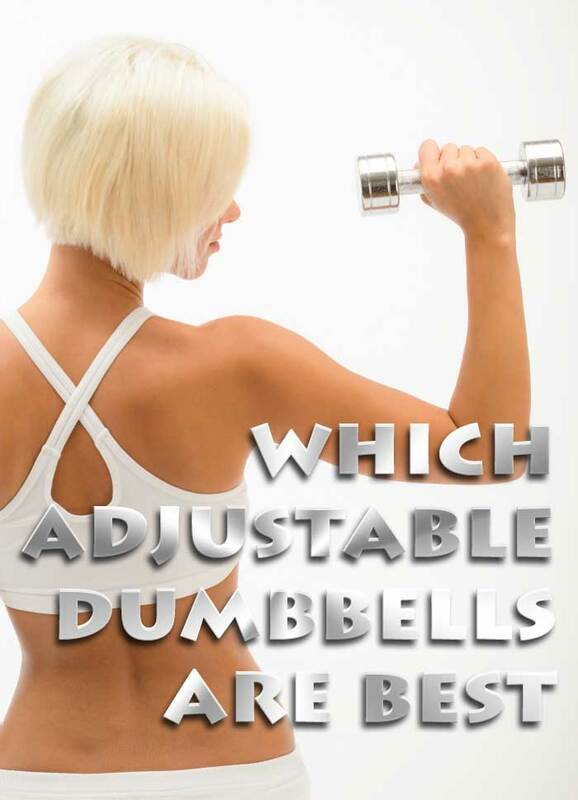 Which adjustment system? 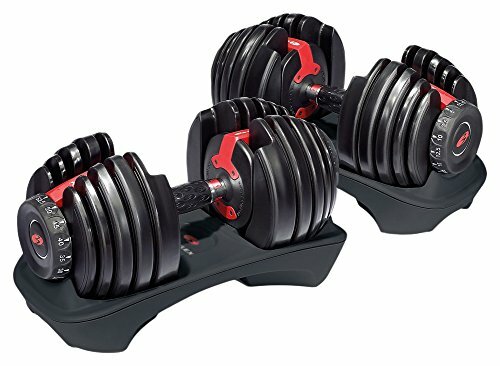 What lowest and highest dumbbells should I select? 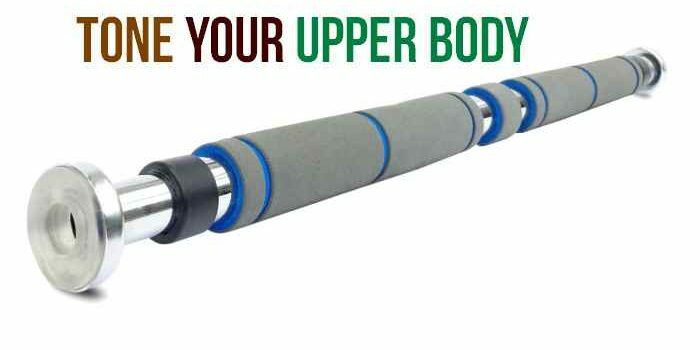 Configuring it right usually means that you get the most out of your exercises and getting it wrong can lead to discomfort, deficiencies in motivation, and even injuries. 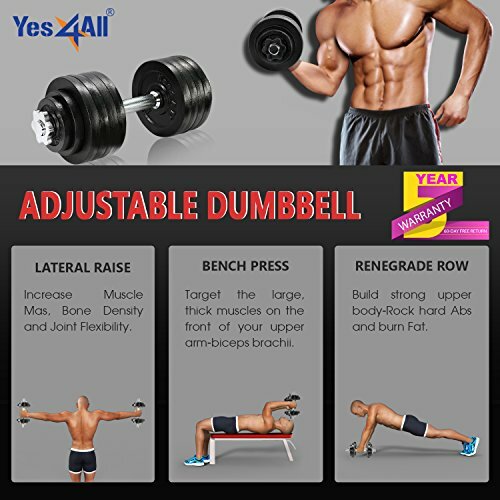 With that in mind, here is a list of the top 5 adjustable dumbbell sets to help you pick the best one for your needs. 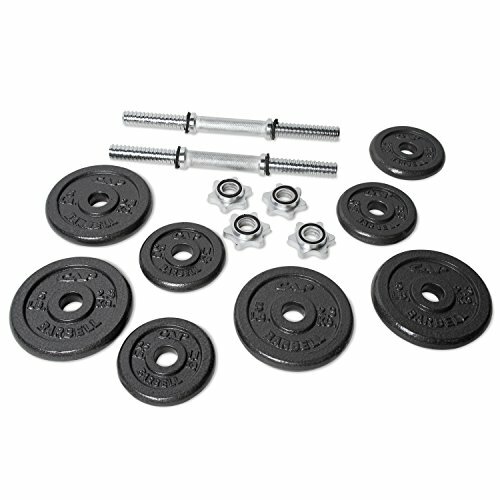 This set has an easy to use selector pin system that allows you to change weight in 3 lbs. increments. 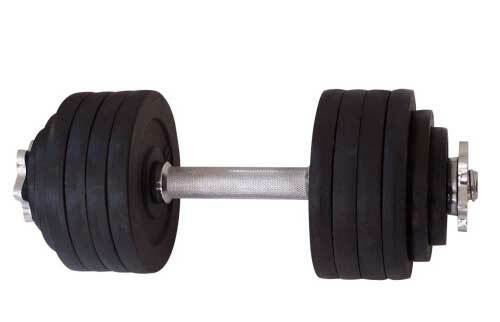 This is similar to a weight stack at the gym. 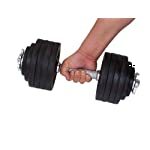 The dumbbells are also well-balanced and compact and feature padded handles to protect your wrists. 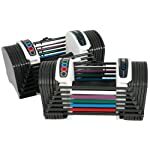 It’s a high-quality product and Powerblock is so confident in its construction that they’re offering a 10-year limited warranty. 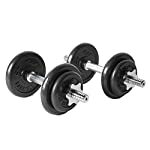 This dumbbell set would suit anyone who wants a high-quality entry-level set that’s easy to use and takes up a minimum of space. 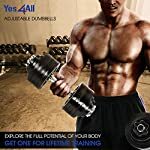 It’s excellent for people who are into circuit training or want to do some high rep strength training with easy weight adjustments while keeping the heart rate up. Careful attention to details has also been paid to the design. 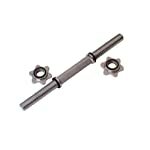 The handles have an ergonomic grip, and the collars are threaded for stability. 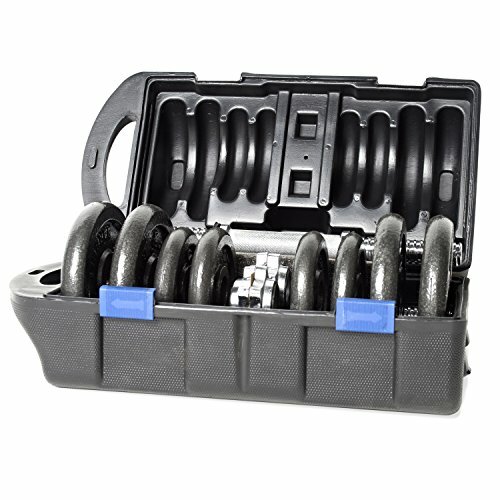 A five-year warranty is offered on the quality, and you can start lifting this set at a very pocket-friendly price. 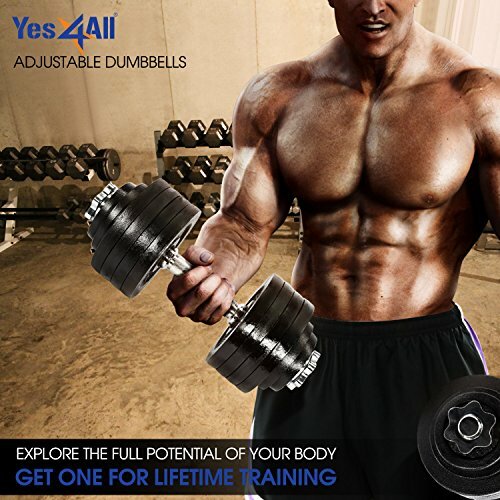 The Yes4All Adjustable Dumbbells set is ideal for people who want the best possible quality on a smaller budget. 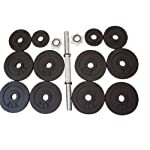 The weights are easy to change, and the spin-lock collars keep them secure. 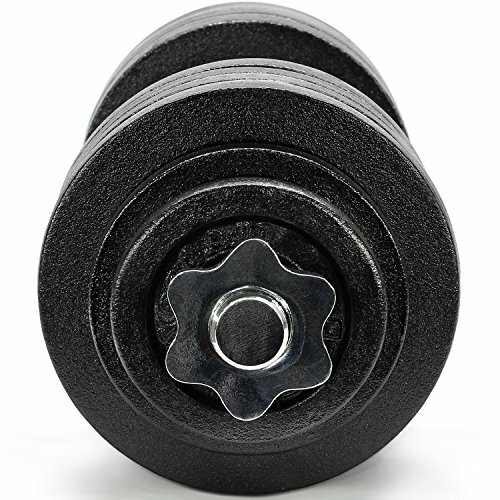 The handles are ergonomically designed, and the plates are made of durable cast iron. 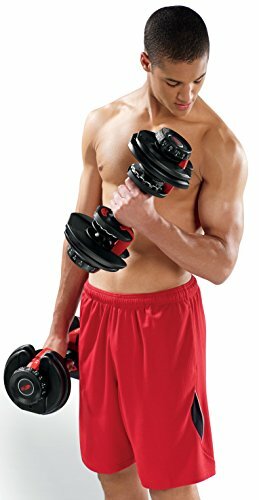 The dumbbell set is perfect for people who want a cost efficient and portable set of adjustable weights for easy workouts. It’s also a great set for students who don’t have a lot of money to spare but want to give lifting a try. 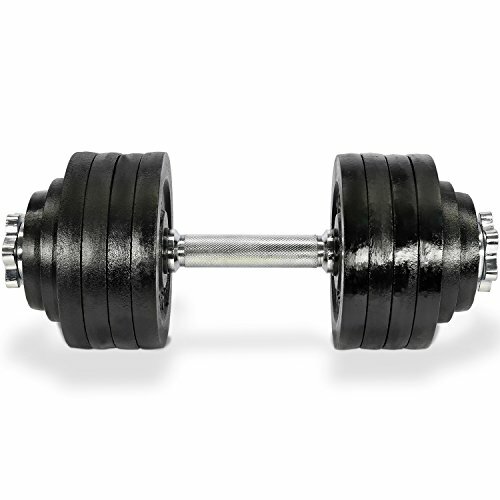 Fully adjustable dumbbell - up to 40 lbs. 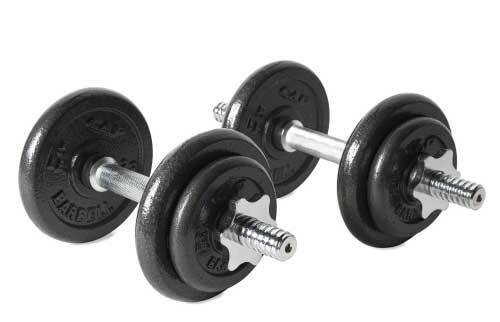 You can adjust these dumbbells in 2.5 lbs. 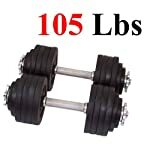 increments from 5 to 52.5 lbs. each. 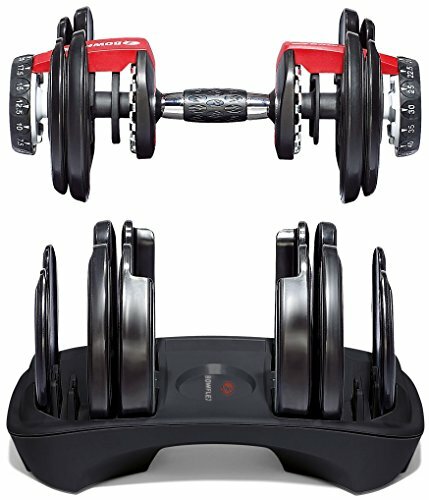 Weight adjustments can be done quickly as part of your workout with the innovative dial system. 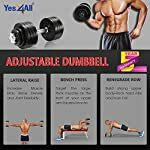 The package includes the handles and 15 possible weight settings with simple dial adjustment and a helpful workout DVD, “Secrets of the 4 step rep,” to show you the many legs, back, shoulder, arm, chest, and abdominal exercises you can do with these weights. 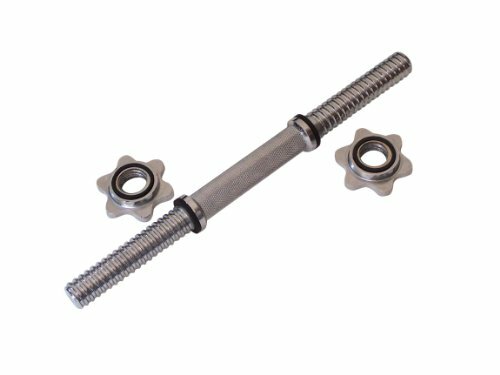 A set of these come with a two-year limited warranty on all parts and service. You can get comprehensive and varied weight training with just this set, rather than having 6 or 7 different dumbbells cluttering up your floor. 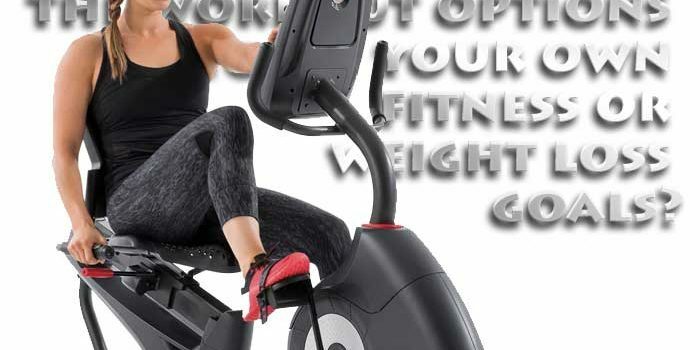 The easy adjustment system also means that you can go from one exercise to another without letting your heart rate slip. 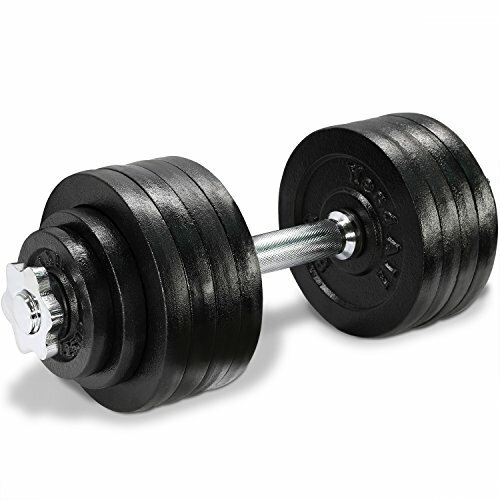 Two variations of this set are available in separate listings: 200 lbs. 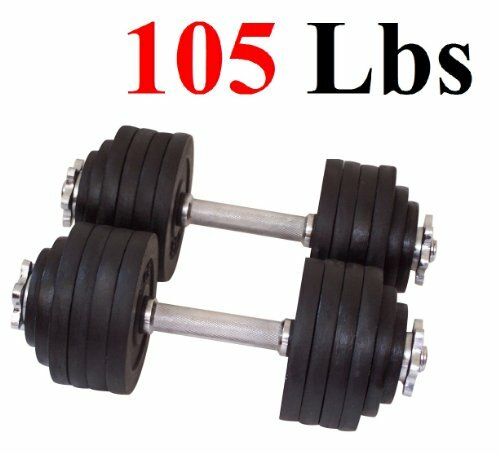 (100 lbs. 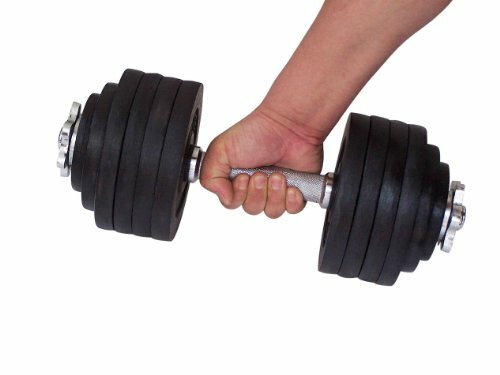 on each handle) or 105 lbs. (52.5 lbs. on each handle). 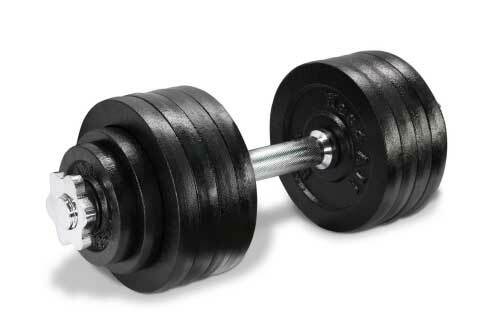 No matter which set you eventually pick, they each offer the same high-quality weights to lifters who want serious gains but don’t have space for a dozen or more solid dumbbells. 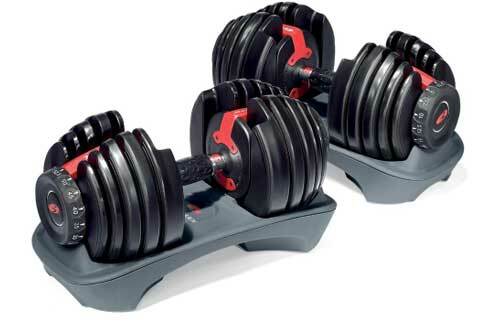 You can adjust the weight of these dumbbells in 5 lbs. 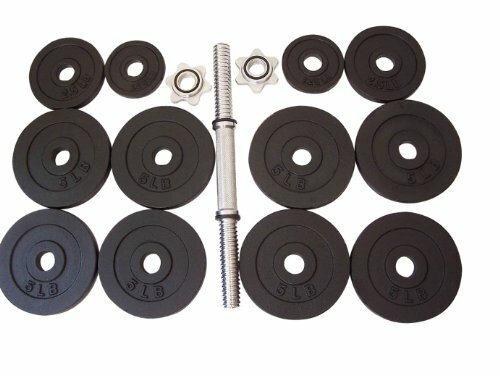 increments using the 12 different plates provided. 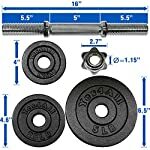 (Note that the weight of plates differs for the two separate sets.) 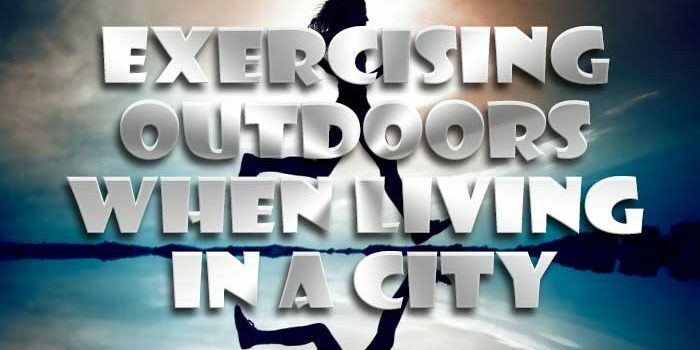 So, you’ll get to challenge yourself and build up, even more, endurance as your strength increases. 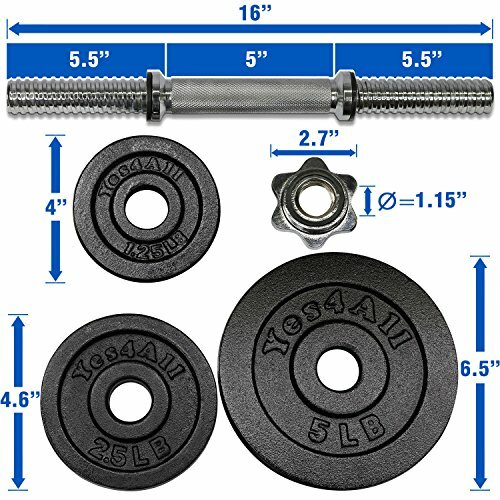 The collars and threaded handles ensure that the weights stay securely in place and the grips are ergonomically designed for your comfort. 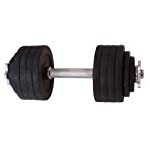 These cast iron adjustable dumbbells kits – 200 lbs. (100 lbs. 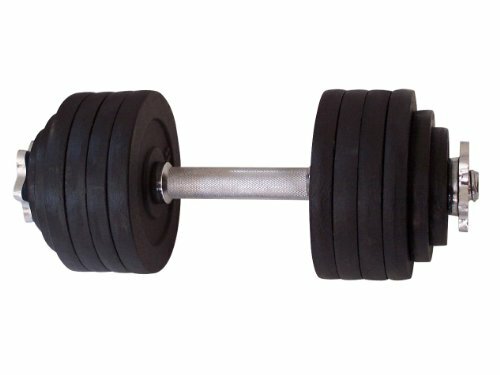 x 2 pieces) or 105 lbs. (52.5 lbs. 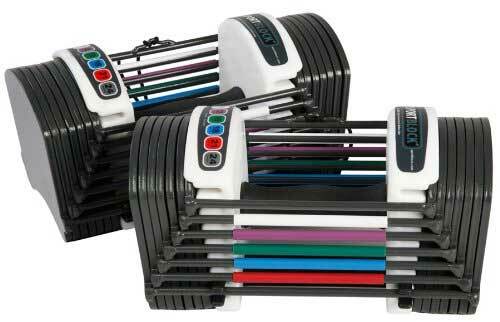 x 2 pieces) – suit fitness enthusiasts who are ready to start moving up to serious weights. 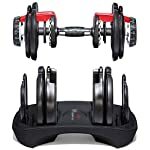 The compact design and multi-functional nature of both sets make them ideal for home gyms that don’t have space for multiple fixed weight dumbbells. 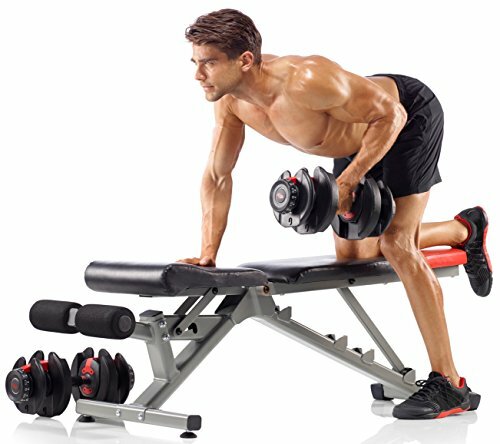 Adjustable dumbbells are ideal for targeting a whole range of muscle groups: legs, upper and lower back, shoulders, arms chest, and abs. 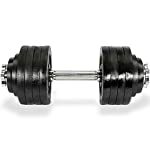 Selecting the right dumbbells will depend on your budget, body type, available space, and your workout needs and goals. 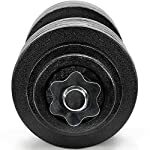 Whether you’re just starting out with strength training or you’re lifting a serious weight, one of these top 5 adjustable dumbbell sets will meet your needs.